Remember when Ted put fish in the swimming pool one winter? They multiplied! It’s not a swimming pool anymore; now it’s a fish pond! The fish range in size from thumb size to about eight inches long, and their colors are bright orange and dark brown, some with spots and some with yellowish stripes! They’re so pretty, and they’re one of the most relaxing parts to our farm. 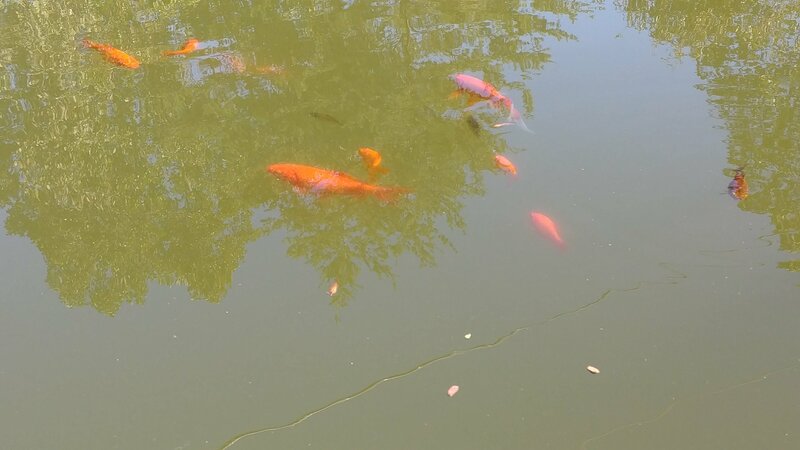 If I’m having a particularly stressful workday, I’ll grab a piece of bread or a handful of cat food, stand by the side of the “pond”, and feed the fish for a little while. 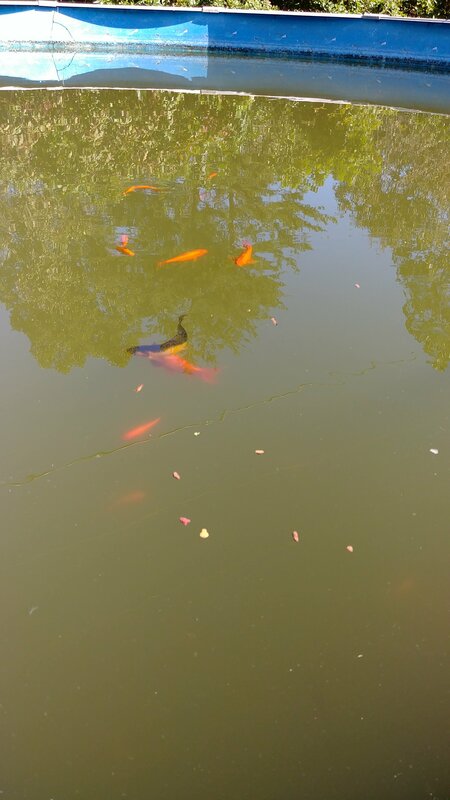 We were so surprised to count 27 fish on Sunday afternoon! There are some really gorgeous koi in there!